Hi guys! 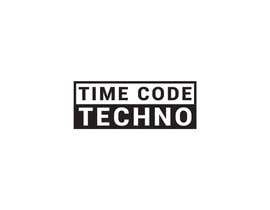 I would like you to design a very simple and minimalistic logo for my 'Techno' music related community/brand called 'Time Code Techno'. I was thinking about putting only the name on the logo, with a super minimalistic design and nice fonts. I am building the brand at the moment and it's all about underground artists and the lifestyle of those who are into electronic music. I would like it to keep the logo only black and white, and 2 versions -> inverse of each other. I included my current logo, so you can see the direction. Thanks for all your designs in advance! Please check entries #31 and #32. I will gladly appreciate it. Thank you! #increaseprize .------ INCREASE PRIZE ------- I'm a music producer and a graphic designer too. I design only logos and artworks for DJ/Music Producers. I'm well updated with the trend of DJ/Music Producers logos since I'm a producer by myse lf. Logo in all formats AI , PNG , PSD , JPG. Feel free to write me for anything. Have a look to my portofolio on the link below with some of my recent works for DJ/Music Producers.